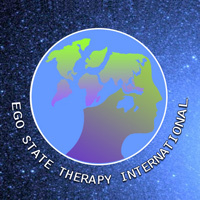 Welcome again to our ESTI Newsletter, the heart of connection and communication within the Ego State Therapy International community! Please remember to visit our website and to refer friends and colleagues as well. We will continue to add resources there and invite you to submit EST news, cases, articles and other items of interest to me directly at maggiephllipsphd1@icloud.com, along with any questions or suggestions you might have for this newsletter. I want to remind you that newly certified members have their own place on our website. You may find them listed by country on the certified Therapists page. Our reward feature continues in this edition. In order to encourage you to develop the habit of reading the ESTI Newsletter, we add a bonus box in the newsletter. All you need to do is to click on the indicated link, which will take you to the bonus itself. I hope that this newsletter continues to support you in making outstanding contributions to healing with your clients, families, communities, and our divided earth.